Here at OxGadgets, we are big fans of Bluetooth trackers such as TrackR. They let us get away when we are being clumsy or just have too much going on. We quite love our pens too, though we don’t often talk about it on the website. Of course, when it comes to big names, Cross is right at the top. They make premium pens which not only deliver a great writing experience but also are a mark of luxury and class. Of course, all that comes at a price. Not only do you have to pay more for their pens, but it is a super loss if you actually manage to lose it. Surely, all that money you pay for them is worth more than that? Well, now it is. 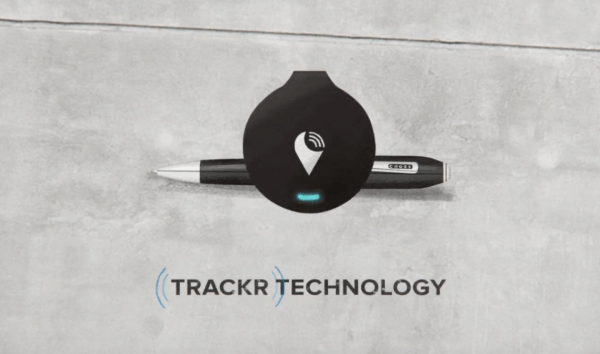 Cross have formed a partnership with TrackR to pack in a TrackR Bravo device as part of their new Cross Peerless TrackR Pen. This gives you two main advantages. First, the peace of mind that you will always be able to locate a lost pen. Secondly, using your pen, you can even find your phone. It is like having a super clever gadgety pen that isn’t spying on people, but is actually useful!